This article originally appeared in the Spring 2014 issue of Real Style magazine. 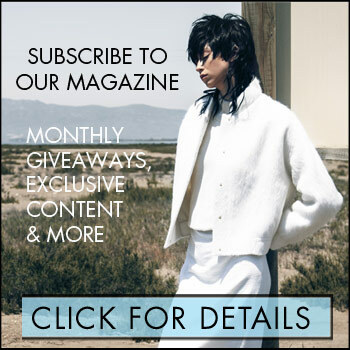 Become a Real Style subscriber and get the hottest fashion, beauty and celebrity news, enter exclusive subscriber giveaways and be the first to receive the full digital version of Real Style magazine every month. Click here to subscribe for free! 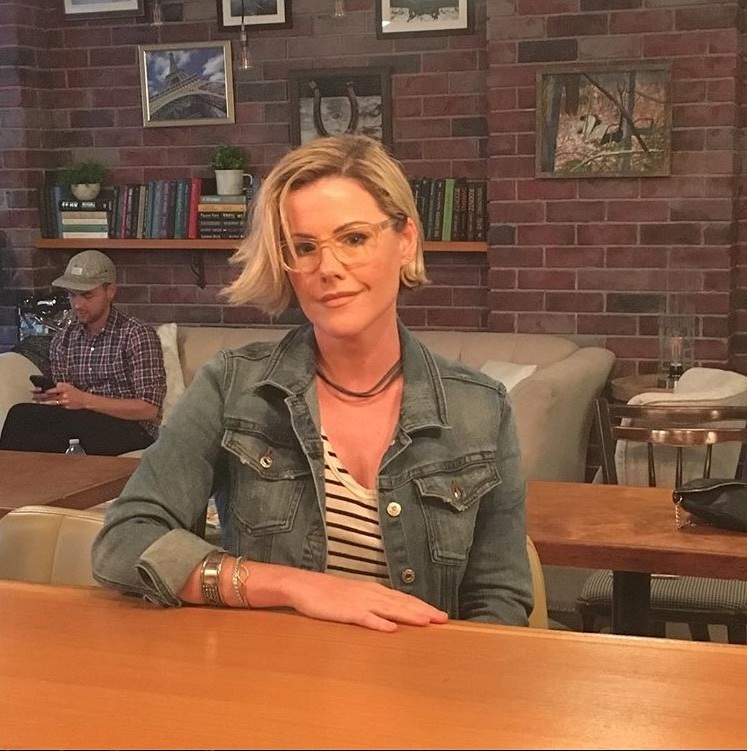 At age 19, Kathleen Robertson made the move to Hollywood, where she landed her breakout role as the spoiled Clare Arnold teen drama Beverly Hills 90210. Since then, she’s played a variety of roles on Law & Order: Criminal Intent, Medium, CSI: Miami and Rookie Blue, and has starred alongside Kelsey Grammer in the Starz original series Boss. The Hamilton, Ontario, native spoke with Real Style about her secret to healthy hair and other must-haves. Real Style: So you’ve done a lot of different things with your hair over the years. Kathleen: Yes. Every job I do, it seems they want something different for my hair. It’s partly me too, you know. I think sometimes I feel that hair is such an identifying factor. You kind of need to figure out what are the shoes for the character and what’s the hair. It seems to change a lot. Real Style: Do you like experimenting? Kathleen: I do. And I’m not a hair person. It’s my least favourite thing to do. I can do my own makeup very easily and quite well but I cannot do my hair. It’s quite short right now and I really like it short. For Bates Motel, I did really long extensions because the character was very hippie-boho, so we had these really long hair extensions. But the character on Murder in the First is a homicide detective, so the short, choppy, boyish hair works really well for that character. Real Style: Who looks after your hair? Kathleen: Because I have to colour it so much for all these different roles, I like to always use my person here, even if it’s shooting in a different city or country. Tracey Cunningham, who’s a colourist here in Los Angeles, she has a salon in Beverly Hills. Real Style: Which products do you use so it doesn’t get so damaged? Kathleen: I use everything, anything possible. My hair is very damaged because of all the colouring, flat ironing and curling. I’m a big fan of masks, so I use masks a lot. On the weekends when I’m not working, I’ll put a mask in my hair and I’ll leave it in for the whole weekend. I’ll literally put half a cup of olive oil, or coconut oil, on my hair and I’ll let it soak for the weekend and then rinse it out and it usually feels pretty good after doing that. Real Style: Does being on set take a toll on your skin as well? Kathleen: Definitely. I mean, it’s sort of a full time job to keep your skin looking good when you have to have that level of makeup every day. I feel as I get older, it’s more about the skin than anything else. It’s like if your skin isn’t looking good, you can’t cover everything up. So I have a lot of different stuff that I use and do. I’m lucky that I don’t have acne or other issues. It’s more about moisturizing. The first thing I have to get is a humidifier for the hotel room, because your skin is dehydrated. There’s nothing you can do that’s going to get rid of that. And then I like these little masks, they’re called SK-II. They’re pretty amazing. They’re expensive but they’re worth it. I use those for special things, like red carpet stuff, special events. And then the Clarisonic brush is also an absolute must-have. I use it all the time. Shu Uemura also makes these amazing facial cleansing oils. Real Style: When you’re not on set, do you still wear makeup? Kathleen: I don’t wear makeup when I’m not working – I just can’t be bothered – but I always wear sunscreen and moisturizer. I have very fair skin – I’m Irish-Scottish, so I’m not a sun person at all. I’ve always been really diligent about staying out of the sun and wearing sunscreen. Real Style: What’s your favourite look for the red carpet? Kathleen: Well, I’m kind of stuck on really bright lips but I sometimes try to not do it because I do it all the time. I always feel good with the strong, bright lip when I’m doing red carpet stuff. Real Style: Do you have a signature scent? Kathleen: Actually, I have three that I alternate between. I like Jo Malone Pomegranate Noir and I like this little rollerball scent called Child. It’s amazing, and it sort of smells like gardenia. It’s really pretty. I also love Kai. Real Style: Is there another star whom you admire, who always has a really great red carpet look? Kathleen: I think Cate Blanchett always looks amazing. I just love her. She has this strength about her and she always takes risks but she still looks elegant and classy. She can do no wrong!